Somalia Doesn’t Need Tears. Help Us Fight Terrorism. MOGADISHU, Somalia — On Oct. 14, a truck carrying about two tons of homemade explosives blew up near Zoobe Junction, one of the busiest streets in Mogadishu, the Somali capital. The blast sent shock waves for miles. More than 400 people were killed — nearly 150 of them burned beyond recognition — and hundreds wounded. Families wandered for hours searching for their loved ones in the rubble. Hundreds of citizens lined up at hospitals for hours to donate blood. Doctors, nurses and ambulance drivers did all they could to rescue the wounded. 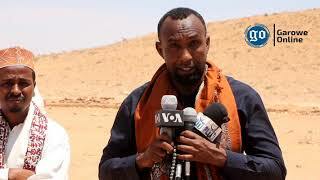 Grieving and angry Somalis gathered on Zoobe Junction blamed Islamist Shabab militants for the atrocity. Leaders from Turkey, the United States, Britain, Canada, France and the United Nations condemned the attack. But condemnation isn’t going to help Somalia battle the Shabab and its bomb makers. To defeat Shabab terrorism, Somalia requires expertise and equipment that it lacks, and it needs a new paradigm of cooperation between Somali security services and our international partners. There is no doubt about the Shabab, which has links with Al Qaeda, being the perpetrator. Bombings with homemade explosives are a common tactic for these militants in their battle with the Somali government. The toll in the Oct. 14 bombing was so high, however, that the Shabab didn’t dare to claim responsibility and admit its murderous conduct even to its own members and sympathizers. A few years ago, the Shabab controlled almost all of southern Somalia — about half of the country. Since then, Somali and African Union forces have expelled the Shabab from most major towns; American airstrikes and joint operations between Somali and United States Special Forces have killed dozens of militant leaders. But the Shabab, which has around 8,000 fighters in its ranks, retains a presence in rural Somalia, keeping many towns under an effective state of siege and disrupting traffic along major roads. The weapon of choice for the Shabab has been the improvised explosive device. It used such homemade bombs in 395 attacks in 2016, which killed 723 people and wounded more than 1,100 — an increase of 110 percent over 2015, when 265 attacks were reported. The Shabab also magnified the potency of its weapons, increasing the average size of bombs from five kilos (about 11 pounds) to 40 kilos (about 88 pounds) and the size of the explosive charges in suicide vehicle-borne improvised explosive devices from about 100 to 200 kilos (about 220 to 440 pounds) to 800 to 1,000 kilos (about 1,763 to 2,205 pounds) from 2015 to 2016. The greater frequency and potency of bombs used by the Shabab have led to increased demand for explosives and other components. Where Shabab members once relied on military-grade explosives harvested from land mines and artillery shells, they have become increasingly adept at preparing homemade explosives from fertilizer and other commercially available products. To identify and combat the bomb makers, Somalia needs to be able to use intelligence from the crime scene: explosives and explosive residues, detonators, components, SIM cards, fingerprints and DNA. Yet despite more than five years of external support, in early 2017 we had just four overworked police teams with no post-blast investigation kits, no forensic laboratory and just one borrowed device for the exploitation of captured cellphones. 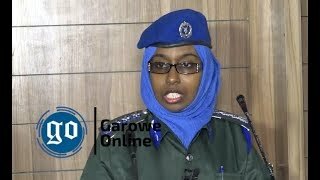 Somalia’s young government is still struggling to pay regular salaries for police officers and soldiers and has no realistic prospect of training and equipping specialized bomb units from its own budget any time soon. A grave shortage of jammers, robots and other protective equipment means that these teams often operate at extreme risk to themselves. Our intelligence and analysis teams rely on 20th-century, off-the-shelf software platforms to investigate. We have been operating almost completely blind. International partners offered to provide “technical assistance,” but their good intentions served to blind us even more: the evidence gathered from bombing scenes is handled and removed by foreign “mentors” who treat intelligence as a commodity rather than as a shared asset in our battle against a common enemy. Once taken away, it is rarely, if ever returned. Only fragments of post-blast investigations are shared with us; often, we get no information at all. As a result, we are still almost entirely dependent on our foreign friends, instead of acquiring the knowledge and skills to assume our share of the task. Information sharing costs nothing, but for some reason, when it comes to I.E.D.s that chiefly claim Somali lives, it apparently lies beyond the means of our international partners. 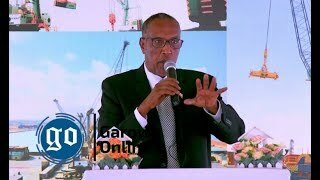 In May, Somalia’s minister of internal security assigned high priority to the detection and disruption of the bombers’ network and production cells. The National Intelligence and Security Agency, the agency that I head, was given the responsibility of analyzing and exploiting collected evidence in terrorist attacks, developing a strategy to disrupt bombing operations, and preventing attacks. We tightened the security cordon around Mogadishu to curb the flow of fighters, weapons and explosives. We identified the most common bomb components or “precursors” imported commercially and ways in which we could restrict or regulate access to them. At the same time, we approached international partners, including the United States, Britain and the United Nations, for the training and technical assistance that we lacked: to help us in developing a basic laboratory, a forensic unit composed of explosives, chemistry and electronics specialists, a joint National Intelligence and Security Agency-Somali federal police exploitation cell to prosecute criminal cases, and a national database and reporting capacity. We received no response. We appealed to our international partners to share all information and evidence that they gathered from bombings in Somalia with the national authorities. The silence was deafening. 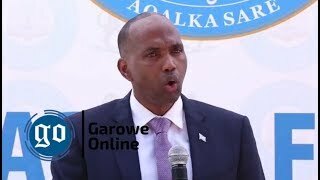 Vital information and evidence of crimes committed on Somali soil continue to be exported and analyzed abroad, denying us the opportunity to protect our own citizens and to hold the perpetrators to account. In August, my office approached the Federal Bureau of Investigation for assistance on countering the I.E.D. threat in Somalia. The F.B.I.’s Terrorist Explosive Device Analysis Center is renowned for its expertise on roadside bombs. I requested a meeting to discuss the threat, but received no reply. The Oct. 14 truck bombing in Mogadishu was a crime against the Somali people and a crime against humanity. But we have no way to assess the evidence, to exploit the intelligence and to build a case against those responsible. Such attacks are likely to continue — not only in Somalia, but also in other countries where the Shabab operates. We need help to ensure that such carnage doesn’t happen again. To do that, we must not be afraid to confront our collective failure to prevent this heinous attack. We need more training, better equipment and the capacity to conduct our own forensic investigations inside Somalia. We cannot any longer outsource our investigations and intelligence analysis to private contractors driven by the profit motive. 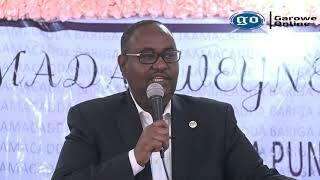 We must acquire the means to exploit intelligence and evidence ourselves, to prosecute the criminals in Somali courts and to develop a Somali-owned strategy to defeat this enemy. We owe it to the victims of Mogadishu. 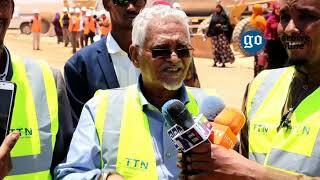 Abdillahi Mohamed Sanbalooshe is the director general of Somalia’s National Intelligence and Security Agency.